On June 6, shareholders of The TJX Companies voted whether to make part of CEO Ernie Hermann’s compensation contingent on diversifying his top corporate officers. TJX, parent to TJ Maxx, Marshalls, and Homegoods, has been under fire for having an all-white, all-male executive team that reflects neither the customer base nor the workforce of this leading off-price retailer. A 2012 McKinsey study found companies with diverse exec teams performed better financially and achieved business wins like successful international joint ventures and ambitious growth targets in emerging markets. Companies are adopting numerous strategies to add gender, age, and ethnic diversity to their C-suites and build inclusivity companywide, and all these efforts need to start at the top. PR counsellors can help paint a picture for management of the positive impact an inclusive culture has on the bottom line, as well as help create the internal receptivity for change required. One tactic is using education and awareness programs for employees both internally, and externally in recruiting. Diversity must be baked into overall business strategy. Adidas, which ranked high in the McKinsey study, designated diversity as a strategic goal. It set hard targets for increasing the number of women in management and supported those targets with policies including gender-balanced recruiting, childcare assistance, and flex-and part-time work opportunities. Compensation needs to be tied to diversity. After seeing scant gains in the percentage of racial minorities in its workforce, and the number of women in its ranks declining, Microsoft CEO Satya Nadella announced late last year the tech giant would tie executive bonuses to workforce diversity goals. Inclusive cultures must be created that promote diversity. In 2015, Deloitte appointed the first woman as CEO of a major accountancy firm. This achievement had its roots in a 1992 taskforce, a tactic the Harvard Business Review says encourages social accountability, one of three principles proven to enhance diversity, along with engaging managers in problem-solving through programs including college recruitment and mentoring, and promoting contact among different groups via initiatives such as self-managed teams. Tackle unconscious bias in a conscious way. Many companies provide unconscious bias training for their leadership teams to help them recognize and overcome bias toward others who are different than themselves, so they can interact and work together more effectively, and make better decisions for their organizaitons. Finally, it’s important to build a pipeline of diverse candidates to tap into when leadership openings become available. This takes time to get right, but you must put in the effort to network, and partner with different organizations to reach more diverse senior talent that can enhance your C-suite. 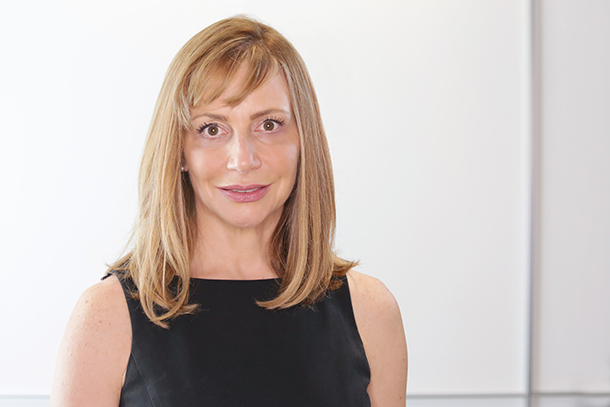 Renee Wilson is the former chief client officer at MSLGroup and PR Lions jury president, now president of the PR Council.